LTD parts hard to find? Thread: LTD parts hard to find? Those particular parts are hard to find. 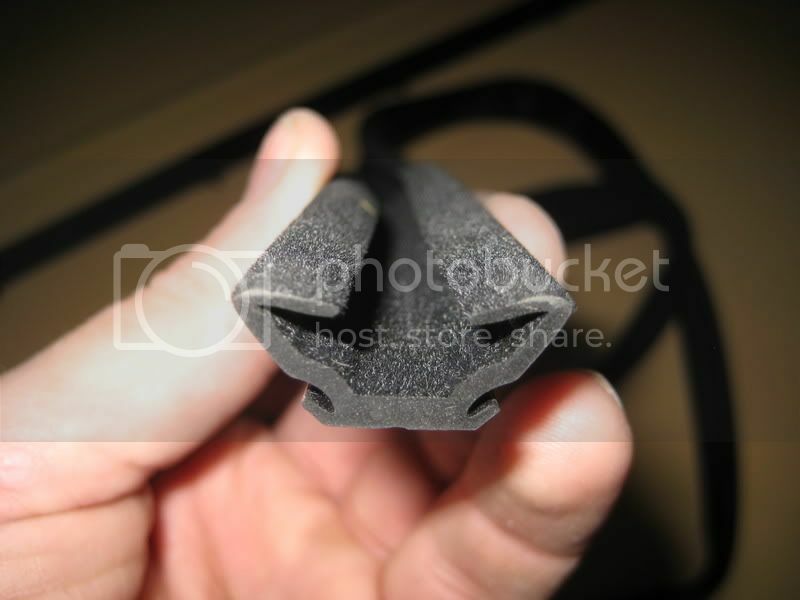 I don't know of any source for stock replacement weatherstripping and window channel seals. You'll have to find generic stuff and make it work. I ordered some generic weatherstripping from JC Whitney that matched the type/shape of the stock and it worked well. I think a few people here have made generic window dew wipes work on LTD/Fairmont sedans, but I haven't heard of anyone finding good replacement window channel felt. EFI swap, AFR 165 heads, 5-speed conversion, Cobra brakes, etc. my car had the window felt replaced on the front two a few years back i guess. supposedly it was some nos ford stuff. i would imagine its still out there. its probably not on the books anymore though. I just did my Futura this morning. Don't know if the window channel is the same as an LTD though. I took some of my old channel out and measured everything then found this site. http://www.metrommp.com/, then ordered 2 ea. of P/N WC 21-96. I got my dew wipes on fleaBay from these guys, and they fit perfectly. Don't know if they sell them for LTD's or not. The window channel I got seems to fit really well, but we'll see if it starts to fall out or anything later. Come to find out, it's actually for a Falcon. Here's a pic of the window channel. may be able to help you out - I got the outside dew wipes for my Mark VII from them - haven't installed them yet but the parts I got look great with the correct clips already in place. IIRC, Ford notched the corners - or maybe it only looked that way since the w/s channels I have on all my Fairmonts have dried out and some even separated. If I could get my hands on some window channel felts that match, I'd like to try to notch and even use w/s glue to glue the corners together. That's what I was thinking too that I could cut and glue the corners together some way to look somewhat like factory. I notched the corners. It's really not noticeable since the rubber channel fits down into the metal frame. I guess if you're doing a concourse restoration it might be an issue. I just wanted to stop the rattles and leaks. It came in 8 ft. lengths. Can you tell me what year Falcon they were for?? I am looking high and low for these parts for my LTD..